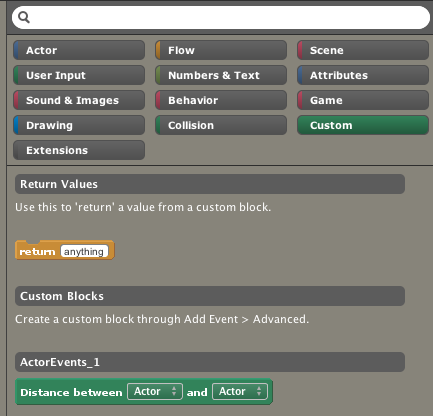 How to create a this custom block, Which type actor is you select ? Thank. Reworked the article quite a bit to make it clearer and added a bunch more images in the process. 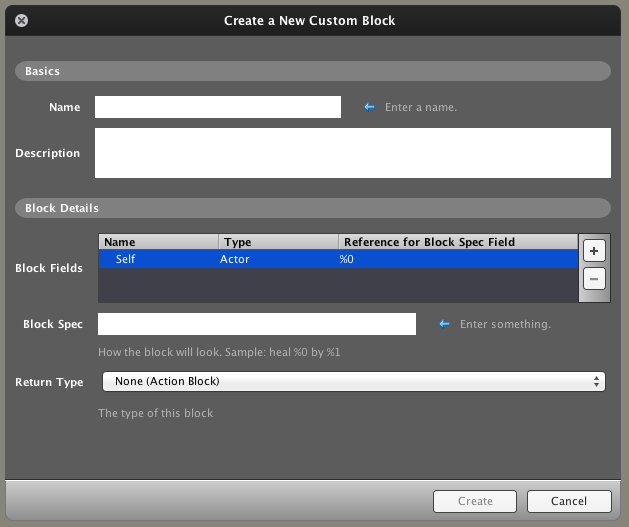 Found a bug when creating a global custom block. 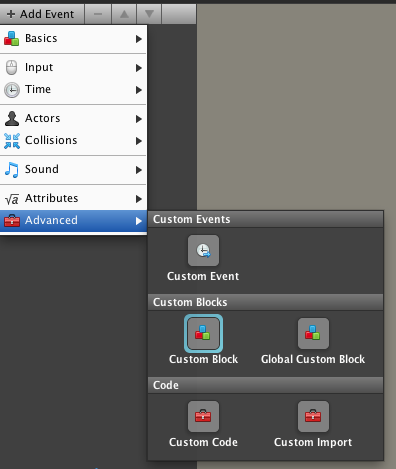 When tried to use getter of a game attribute, game gives a compile error, saying getGameAttribute() or whatever that function is called, is an unknown identifier. 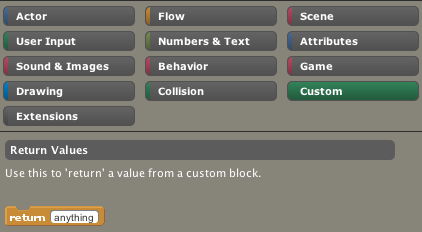 I believe this shouldn't be the case, since game attributes should be able to be referenced from anywhere. KelvinZhao: I've clarified the point you raised. 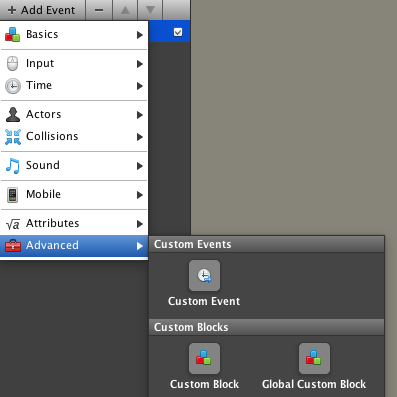 @farah you have to make a "custom block" and not a custom event.